I have to toot my own horn a bit and say that I love how this looks! This started out as a scaled gradient but after doing the first layer I realized there wasn't enough space for the second one. So I decided to do a reverse gradient in the middle instead. There was a lot of cleanup involved and a lot of time spent on this but I'm gonna wear it for the whole week so it's gonna be worth the effort. 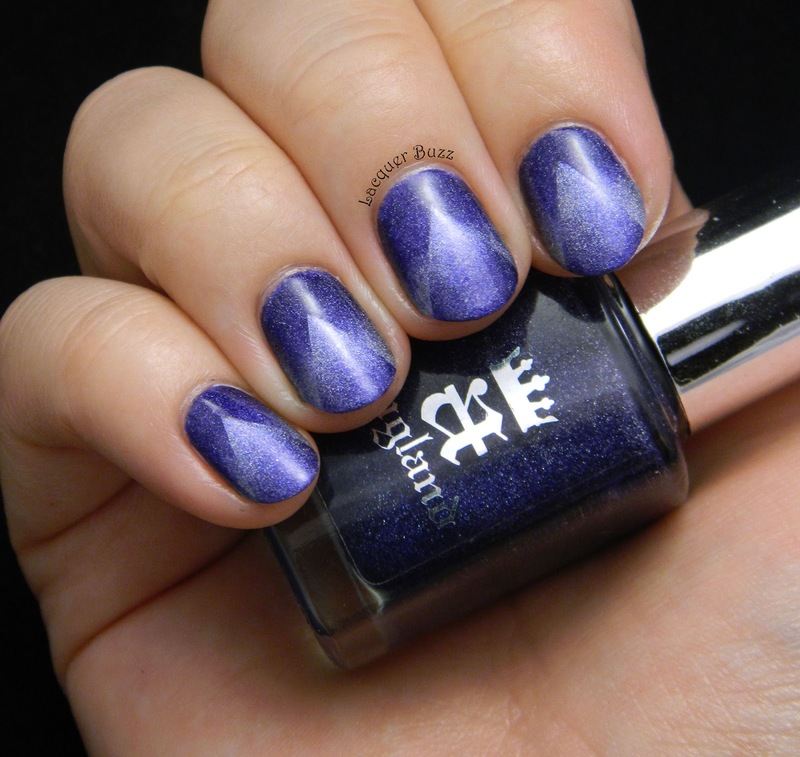 The polishes I used for this are two of my beloved a-england shades, namely Tristam and Dancing with Nureyev. They are both scattered holographic shades, which I think makes a world of difference because they blend easily and look spectacular on the nail. 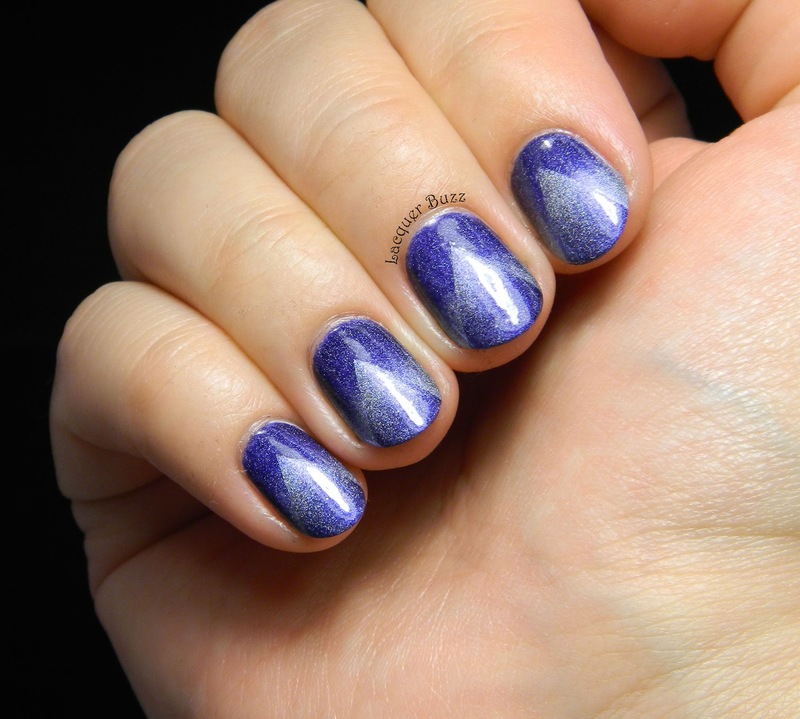 Again this gradient was inspired by Simply Nailogical, who used these two shades along with Encore Margot to create an incredible triple scaled gradient. 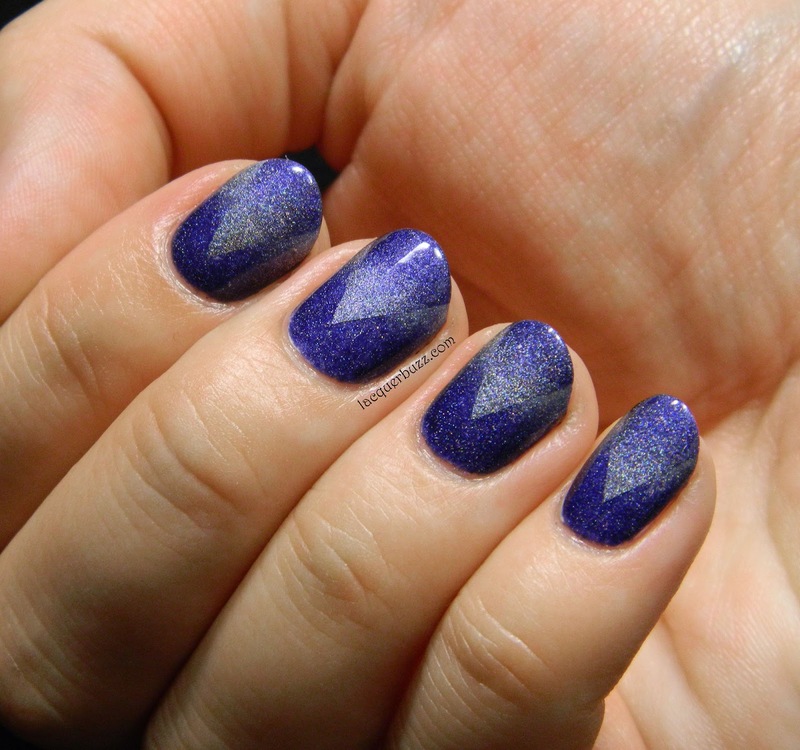 The photo above is taken in the light box and shows the gradients better, while the one below is taken in direct light to show the spectacular holo effect. I really hope you like this manicure because I sure love it. These two shades are ones that every blue lover should own in my opinion. They are both amazing by themselves and great for nail art. Don't forget that you can check out some more Monday Blues by clicking the links below! These look great! I like how subtle it is too. This is super pretty Mihaela!! I love it! Thank you! It looks subtle and mesmerizing at the same time! Multumesc frumos! Tristam ai incercat-o deja. Pe cealalta trebuie neaparat pentru ca e incredibila! 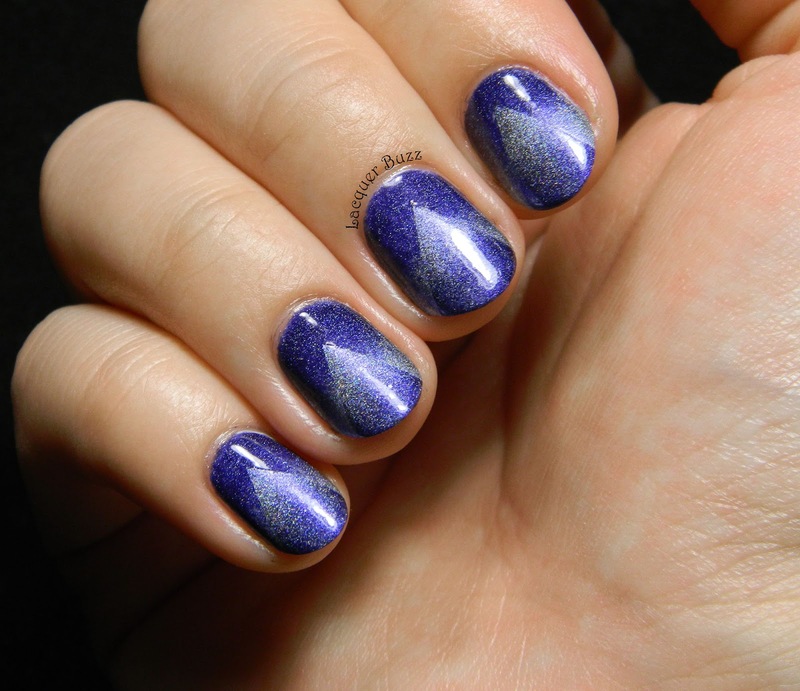 This is such a cool way of doing a reciprocal gradient! Gorgeous!